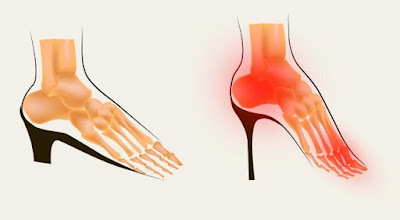 We often don’t pay enough attention to the first signs of a bunion, although we really should: it’s only at the initial stages of this condition that we can still prevent bursitis, an inflammatory process associated with sharp pain. In this text, NaturalHerbalMedicine will tell you how to prevent bunions on your feet and avoid potential surgery. The risk of a hallux valgus deformity is higher in those who are genetically predisposed to it, and even more so if you wear the wrong shoes and have excess weight. So, first of all, you should quit wearing high-heeled and narrow-toed shoes. Then, stop eating foods that increase the risk of joint inflammation, such as fatty and spicy foods, sweets, pastries, and legumes. Massage will help relax and strengthen the feet muscles, as well as help them keep the right shape. You can even do it at home. 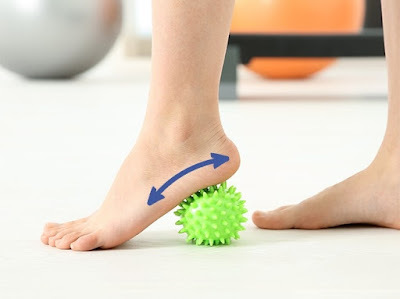 Roll a special massage ball or a regular tennis ball with your feet. Massage your feet with your thumbs upward and back, pressing gently. Spread your toes, put your fingers in between them, and pull your hand up and down. Take a toe in your hand, and pull it slightly upward. Repeat for each toe. If you’re going to the beach, be sure to walk on the sand or pebbles barefoot: it’s a great massage. There’s a set of simple but effective exercises you can easily do at home, spending no more than 10 minutes a day. Place your foot firmly on the floor, and try to raise each toe one at a time. Put a tough rubber band (a hair band, for instance) on your toes, and force them apart. Simply rotate your feet in both directions. Put some small objects, like pencils or pebbles, and a towel or a piece of cloth on the floor. Try to pick them up with your toes. Regular foot soaks will help lift tiredness, reduce sweatiness, and eradicate harmful bacteria. Use herbs known for their anti-inflammatory properties, such as chamomile, calendula, or lavender.